The products can be used in microwave electronic components. Its attenuation values are determined by the input TTL/LVTTL control signal. 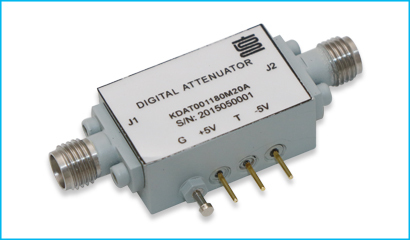 So that the link can be achieved the desired gain or loss value.KeyLink's digital attenuators can be categorized as follows. The product information in this data is for reference only. Please request the Engineering Specification and Drawing for the most current and accurate design information.